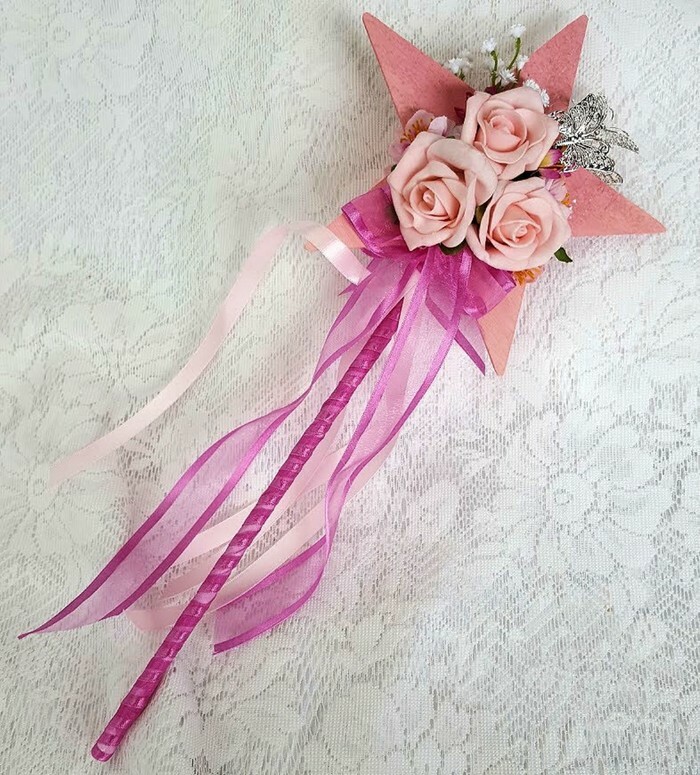 Your flower-girl will be a star with this little wand! 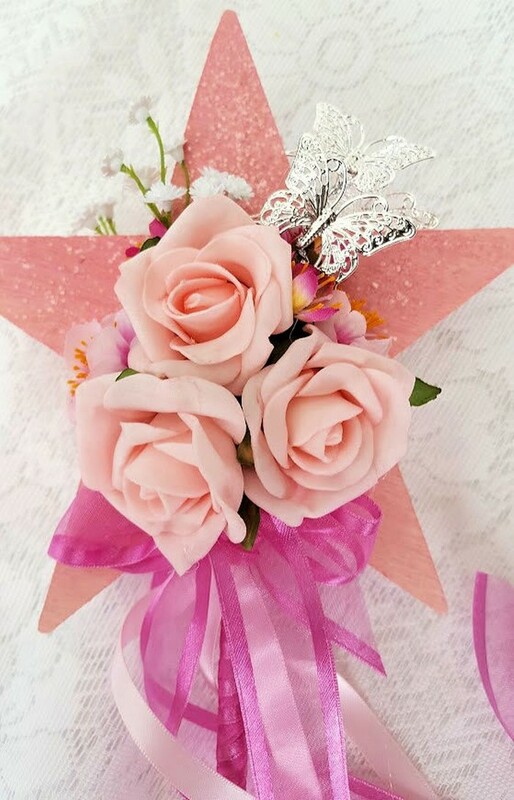 Pink painted star has flowers & butterflies on both sides with rosebuds & baby's breath. 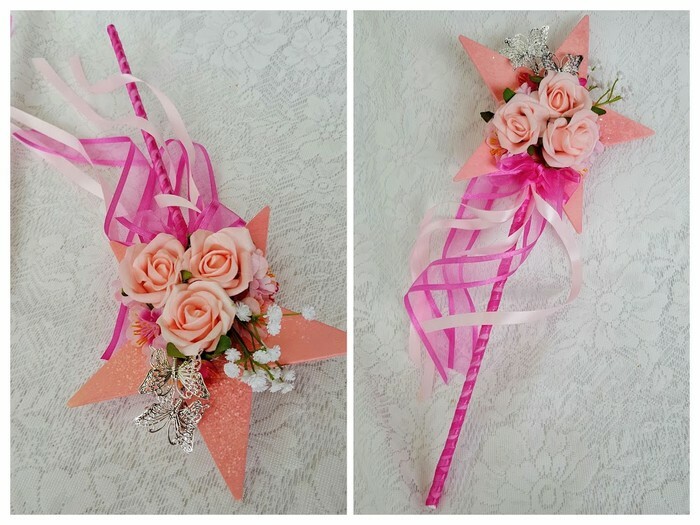 Pink ribbon completes the wand. 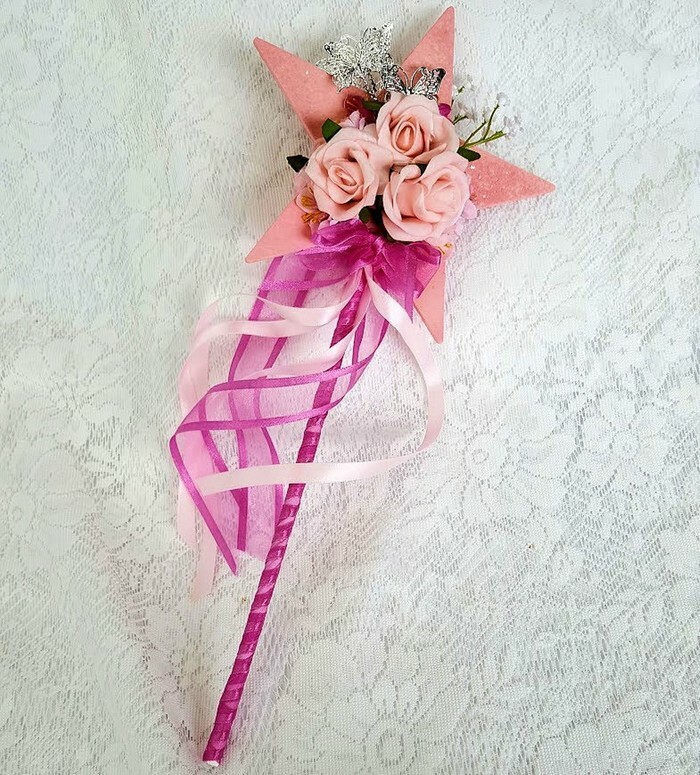 This wand measures approximately 37 cms long from the top of the star & approximately 15 cms across. Please contact us if you need more than the amount we have listed or if you require another colour. 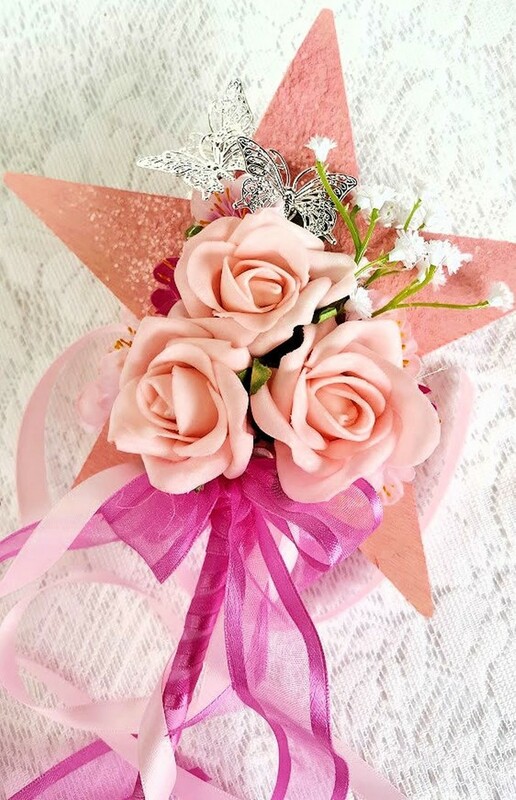 Bouquets etc sold by UnrealWeddingFlowers have been designed & created by a professional wedding florist using artificial flowers.